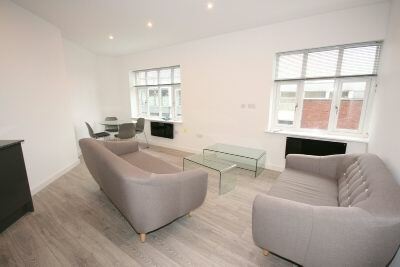 LUXURY TWO BEDROOM 2nd FLOOR APARTMENT LOCATED IN THE HEART OF ALTRINCHAM TOWN CENTRE WHICH BENEFITS FROM HAVING THE METROLINK NEARBY. Communal Entrance. Hallway. Living Kitchen. Two Bedrooms. 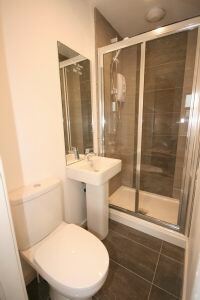 Shower Room Plus En-Suite. Sorry, No Parking, No Pets, and NO KIDS! FURNISHED. Available NOW.